In Viking times, having a job was not the same as it is today. Most Vikings would work for themselves, farming the land as best they could purely to survive. Some Vikings would be hired to help out, so in this sense the role of a job still existed even though it wasn’t quite the same. The idea of a salary was very rare in Viking times, most jobs would not be paid jobs, although trade and currency still existed. Even craftsmen and women would likely survive by trade, building boats, goods and clothes for food, animals or labour. Many trades were actually passed down through generations, with sons pursuing the same career as their fathers before then, and the girls and wives helping out at home and with the business. Of course a Viking would still have job choices, much more if he were a man however. Farming was not the only option available to them, and we will explore some of the other career choices a Viking could pursue in old Norse Scandinavian. By far the most common career path was that of a farmer. For these Vikings home would also be the workplace, living and working on the farm land, tending to the animals and crops. All the family would get involved in this job, from the children to the Viking women who were responsible for the animals and livestock. As we mentioned trading was an integral part of living in ancient Scandinavia, and many Viking men would become fisherman in local waters, lakes, rivers and the nearby ocean shores. Fish and sea life would provide excellent food stocks for personal and family supplies and also to trade at the local and regional market places. Fishing was one trade where a fishing captain might actually pay wages for younger to younger fishermen or deckhands. Some might pay in silver or gold, while many of course would have a profit share on the actual fishing haul. Trading was an everyday part of life in Viking times, there was no standard currency so to speak off. Silver and gold were of course used to trade but many goods and services would be swapped like for like. This meant there was much profit to be made as a trader, and for many Vikings this would be their full time job. Merchants would travel to foreign lands, bringing back goods, like fabric, metals, materials, jewellery and clothing. All these items would fetch a good trade back in Scandinavia with foreign items like silk proving very popular with the noble Viking folk. 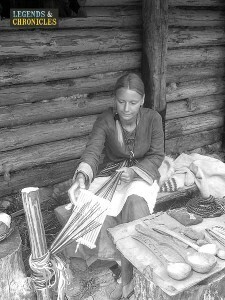 To living in Viking times, created the need for a variety of items, tools and services, and all these were filled by local of neighbouring homes and families. Choosing a career path for the old Vikings was often not a choice but a inherited skill. As a child you would learn similar skills to your father and mother and would of course help out with the family business. 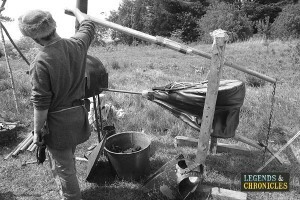 Farming, trading and craftsmanship were all important and popular skills needed to survive. The bright and sunny Scandinavian summers that would provide an abundance of daylight, in some cases 23 to 24 hours worth due to the location of the Vikings homelands. This would often mean long working hours in the summer, and much shorter hours in the cold winters where daylight would be limited and in some locations almost non existent. This mean the Viking worked hard at their jobs when they could, when the daylight allowed and they would provide for themselves during the colder winter months.